Blackheads are hated by many, but this black head is an exception. Axial just released their new .32RR engine with more power than their original spec 1s. It also comes with a lower price tag. 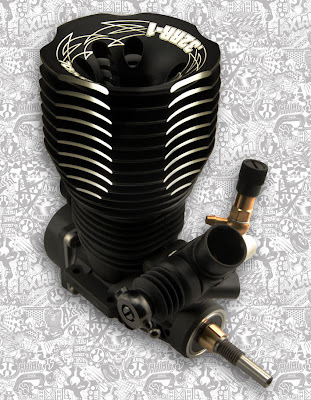 If you tried an Axial engine before, you will know how easy and reliable it is. They are known as the "best bang for the buck engines." This is perfect for the basher. Option parts such as turbo button head, roto-start backplate, and bump start backplate are available. Another two reasons why you should go black: 1) it's stealth looking, 2) black is in.